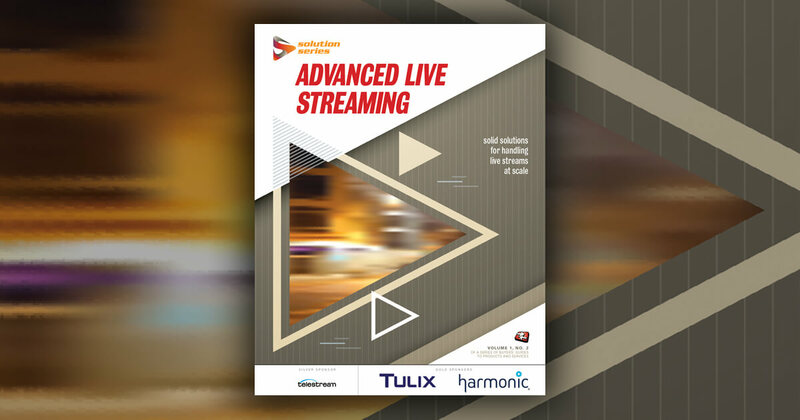 The Streaming Video Alliance (the Alliance), an industry forum comprised of leading companies from the online video ecosystem, today announces the immediate availability of two new technical specification documents from the Open Caching Working Group. In addition, the Open Caching Working Group has introduced a new sub group for Edge Storage, led by Western Digital. The technical specifications were ratified by the Alliance Membership earlier this week. Open Caching Logging Specification. This includes the Open Caching System (OCS) technical specifications for logging data to help track data acquisition and the delivery of it to the end user. Open Caching Service Provisioning Specification. This includes the functional specification of open-caching service provisioning interfaces enabling a CDN and a service provider (SP) to exchange information to enable the delegation of CDN content requests to the SP Open Caching system. "We're making significant progress toward educating and supporting the streaming video industry as well as putting the Alliance's work into practice -- this is another proof point in that journey," said Jason Thibeault, Executive Director of the Streaming Video Alliance. "In addition to the new technical specifications, the Open Caching Working Group is gaining traction in the second phase of the Open Caching POC and earlier this year initiated the first Open Caching trials." As the Open Caching Group expands, a new subgroup has been formed. The Edge Storage Subgroup will be led by Western Digital with the goal to create the functional technical requirements for storage and optimal architecture when streaming online video. "Download to go" features of OTT services are very popular amongst consumers, enabling them to fill their device with content that they can watch when not connected to the Internet. Currently, guidelines or best practices do not exist for offering such a service. This new group will explore this and other use cases, and provide documentation and proof-of-concepts to the industry as they explore how to utilize edge storage in their delivery architectures. The Edge Storage Subgroup will commence at the next quarterly member meeting, scheduled for September 13, 2017 at the Liberty Global campus in Amsterdam. "We are excited to lead this new Open Caching Subgroup on edge storage," said Enosh Levi, Director, Connected Home Marketing at Western Digital. "We believe that storage at the edge of the distribution network, be it the home gateway or an end user mobile device, will be a critical component of video streaming and watching experience in the coming years. Now is the time to provide some guidance to the industry in how to architect online video solutions with edge storage components." Members of the Alliance include companies from across the streaming video ecosystem such as network operators, technology providers, service providers, and content owners. Current members are: Adobe, Arris, ATEME, Cedexis, CenturyLink, Charter Communications, Ciena, Cisco Systems, Comcast, Concurrent, Conviva, Digital Envoy, Dolby, Edgeware, Encompass TV, Ericsson, FOX Networks, Harmonic, Hughes Satellite Systems, IBM, IneoQuest, Intel, Interra Systems, Irdeto, Level 3 Communications, Liberty Global, Limelight Networks, Massive Interactive, MediaMelon, MLBAM, Mobolize, NBCUniversal, NCTA, NeuLion, Nexguard, Nice People at Work, Nokia, OWNZONES, Qwilt, Sinclair Broadcast Group, Sky, SSIMWAVE, Telecom Italia, THX, Verimatrix, Verizon, Viacom, ViaPlay, ViaSat Inc., Western Digital Corp., Wowza Media Systems, and Yahoo.